At Smile Club Ni summer scheme in Belfast, we have made the decision to source the best in local healthy foods to add to the tuck shop options. Well-being, nutrition and a healthy active lifestyle are all key aspects of what we aim to promote within the scheme. Our fresh fruit range is sourced locally by FLAVOUR FIRST. 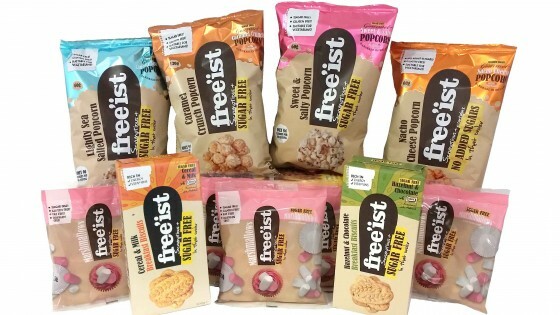 We are also introducing a selection of reasonably priced sugar and gluten free products from the FREEIST, also another local company. Soe examples of their products are below.